Posted by Phil Jeudy in Silicon Valley, Web. Linkedin is a nice competitor, a photo by Philjeudy on Flickr. 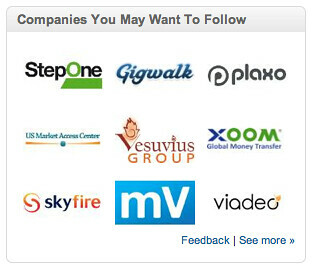 “Companies you may want to follow” section on Linkedin website. Come Back Joe, a photo by Philjeudy on Flickr. 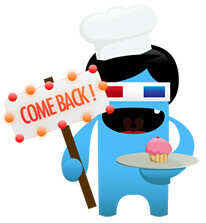 I like this Joe asking me to come back on Liveminutes, with his Frenchy glasses. Actually I think it is way more cool than a spam to give me a signal that someone was seeing my profile. 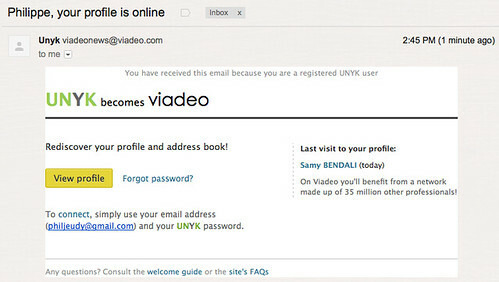 Unik = Viadeo spammig, a photo by Philjeudy on Flickr. 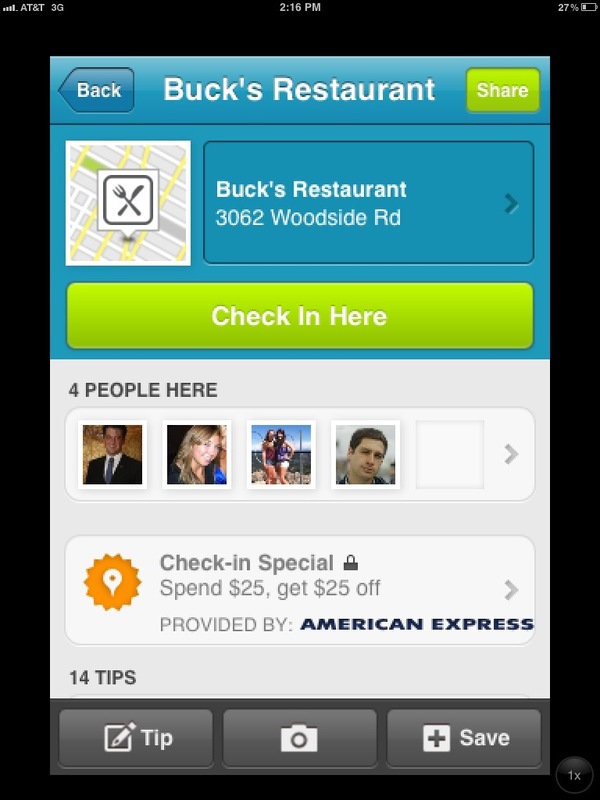 I think there a re much better ways to promote a social network. Dear Business Insider, this is a lousy way to be for a social network. It’s even not possible to unsubscribe! Nice incentive on Quora, a photo by Philjeudy on Flickr. 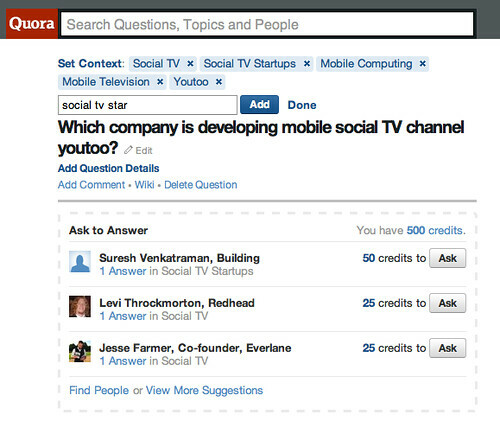 This new feature of with Quora is a smart move to solicitate more the community and enhance conversations and interactions. Posted by Phil Jeudy in Music, My business, Web. I’m a Netflix client for more than 2 years now. Like many people, the switch from 9.99 to 15.98 last Summer forced me to stop the DVD rental subscription. I have no discussion on this decision: as a client, my role is to buy or not the service. But I refused an increase of 60%, for the same service. Now I’m going to Blockbuster (I’m lucky, the one in Mountain View on El Camino is about 10 minutes from home), and I’m telling you, I don’t miss the personalized search which never really worked for me. Human search in a store is much more efficient. And on the top of that you can talk to people there. Not my friends on Facebook, Blockbuster’s clients. Also Blockbuster employees, the best search engine ever. I was used to see the full list of movies from actors, directors… Now I feel punished by only being able to visualize the list of available streaming movies. Why not providing the list still (without a “Rent button”), even though I cannot book them?! What?! I can go to IMDB?! Well, this marketing approach is like asking me to pay for a web service which has not value. Online streaming is not a main thing for me. Netflix, you lost another 7.99. Back to a brick and mortar life. Or Amazon, I’m a Prime Amazon subscriber. They will do better soon in terms of UI, let’s see.